I am a Research Lecturer in Physical Oceanography at the School of Ocean Sciences. I was awarded my Degree in Physical Oceanography and Mathematics at Bangor University in 2003 and my Ph.D in 2008, where I investigated internal tides in the Gareloch: a Scottish fjord. My postdoctoral career included a Research Fellowship in Bangor’s Centre for Applied Marine Sciences, with specific interests in physical modelling studies for Marine Renewable Energy, Coastal and estuarine processes including morphodynamics and water quality, and Biophysical larval transport. I develop computer models to simulate ocean processes, whether this is realistic representations of the past or future, or hypothetical scenarios such as a proposed coastal alteration like flood mitigation measures. I have study estuaries at fine scales to understand their sensitivity to complex interactions of rivers, tides and sea-level rise, and how these interactions control coastal water quality and flooding. I develop methods to characterise the bio-physical dispersal of larvae to help understand population dynamics and aid fishery and shellfishery management. I am interested in characterising variabilities in tidal energy available for our exploitation as a renewable electricity source – and quantifying the likely environmental implications that this may have. Jonathan Demmer – simulating variability of North Wales mussel populations. 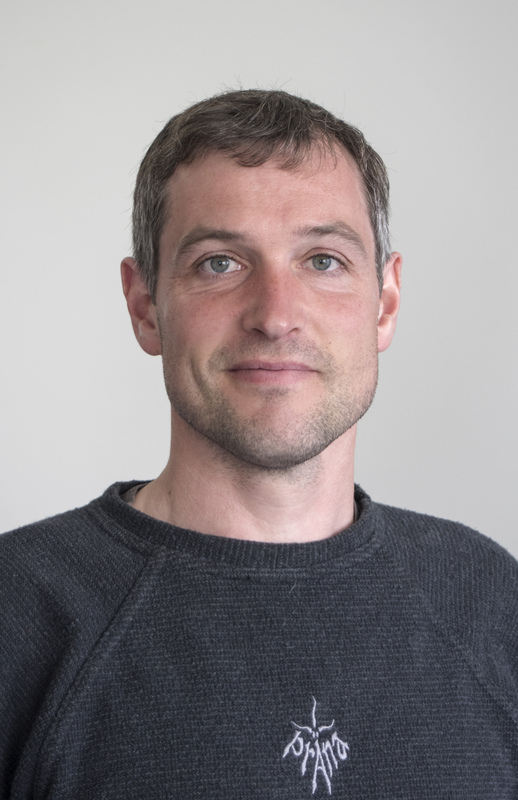 Nic Chopin – variability in the Irish Mussel shellfishery. Mike Ridgill - Hydrologiclal stream flow renewable enregy resource assessment. 2017-18 NERC ERIIP (NE/R009007/1): Combination Hazard of Extreme rainfall, storm Surge & high Tide on estuarine infrastructure (CHEST). (T Coulthard, P Robins, M Lewis) £39K. 2017-20 INTERREG Atlantic Area Programme: COCKLES (Boosting Co-operation and integration of Capacities for applying Knowledge and mutual Learning in Restoring Cockle Shellfisheries and its related Ecosystem-Services in the Atlantic Area). (S Malham, P Robins, et al) £347K. Led by CETMAR in Spain. 2017-21 INTERREG: ECOSTRUCTURE (S Jenkins, A Davies, S Neill, P Robins, et al) ~£610k. Led by Aberystwyth. 2017 Sêr Cymru NRN Research Development Fund: Grant proposal development award. (P Robins, M Lewis, S Neill) £5k. 2017-20 INTERREG Ireland-Wales Programme: Bluefish (Building Resilience into Blue Growth in the Irish and Celtic Seas Fisheries and Aquaculture). (S Malham, P Robins, L LeVay, M Kaiser, et al.) £1.4m (Part of 6.6m euros multipartner). 2017-18 INTERREG Ireland -Wales Programme: Irish Sea Portal Pilot (ISPP). (S Malham, P Robins, L LeVay, et al.) £620k (part of 1.4 m euros with BIM in Ireland). 2017 FSA Desk based study: Active Management of Shellfisheries. (S Malham, L LeVayP Robins, et al.) £28k. 2016 Sêr Cymru NRN Research Development Fund: Grant proposal development award. (M Lewis, P Robins, S Neill) £5k. 2016 Sêr Cymru NRN Research Development Fund: Tidal Lagoon Workshop. (S Neill, M Lewis, P Robins) £10k. 2015-18 KESS II ESF PhD studentship. Simulating variability of North Wales mussel populations (S Neill, P Robins, S Malham) £54k. 2015-18 NERC EMHH (NE/M010996/1): New approaches for the quantitative detection of human pathogenic viruses within the freshwater-marine continuum (D Jones, S Malham, J McDonnald, P Robins, et al.) £465k. 2015-17 NATIONAL PRIORITY RESEARCH PROGRAM (NPRP 7-1302 -1-242): Ecological processes underlying ecosystem function in arid mangroves. (L LeVay, et al) £235k. 2012-15 HPCWales-Fujitsu PhD studenship: Development of an integrated catchment-to-coast modelling system. (R Hashemi, et al) £70k. 2008-13 CCW: Morphodynamic modelling of Welsh estuaries. (A Davies, P Robins) ~£100k.